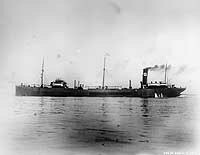 Eight of the U.S. Navy's WWI era tankers had their engines and smokestacks aft and three masts. 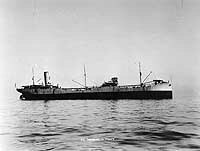 This page features a table (with links to individual ships) of World War I era U.S. Navy tankers with smokestacks aft and three masts, plus a photograph of each ship in this group. ONE SHIP -- with flush decks: New York SB 468-foot type. 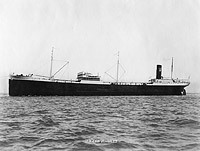 This ship was probably a near sister to the three 468-foot ships from the same yard on the page for tankers with two masts. Standard Arrow, USN 1917-1919 (ex American S.S. Standard Arrow, 1916). 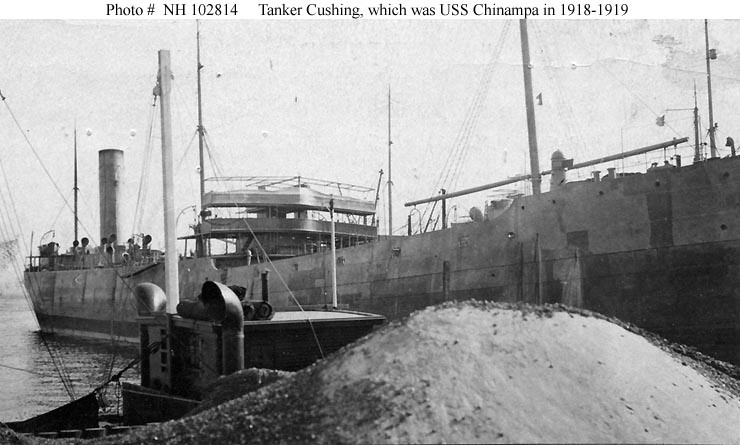 Chinampa, USN 1918-1919 (British built, ex American S.S. Cushing, 1903). 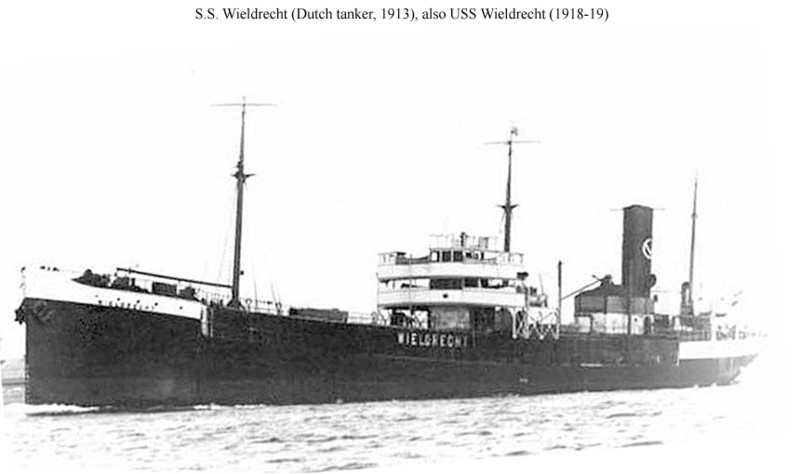 Wieldrecht, USN 1918-1919 (Dutch built, ex Dutch S.S. Wieldrecht, 1913). 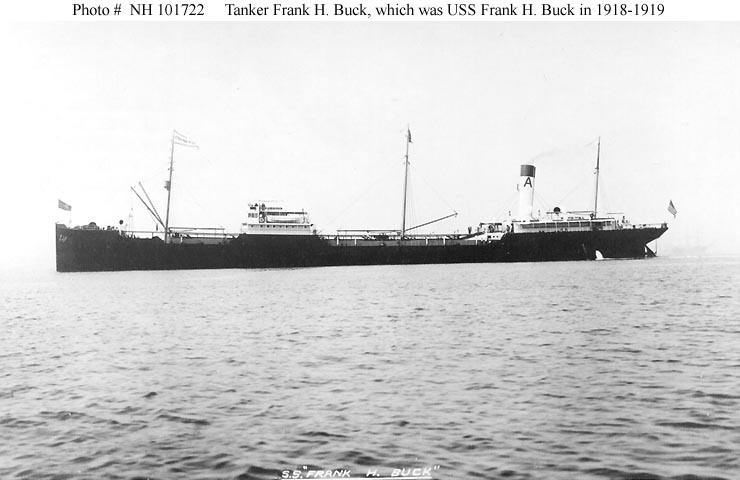 Frank H. Buck, USN 1918-1919 (ex American S.S. Frank H. Buck, 1914). 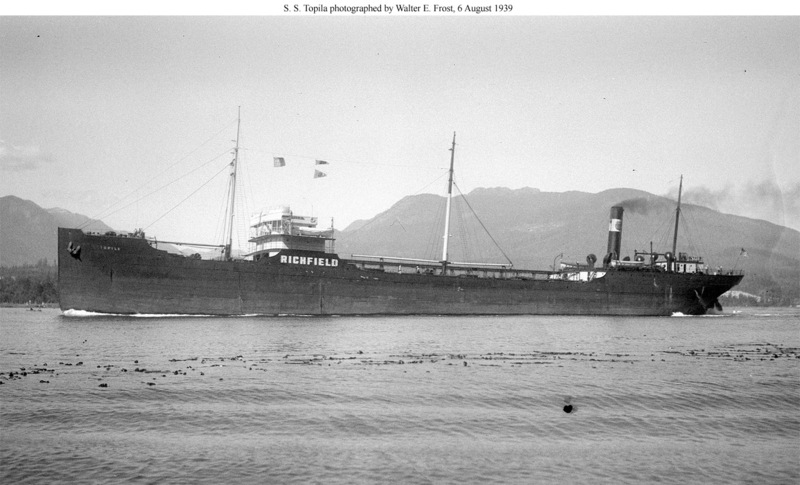 Topila, USN 1917-1918 (ex American S.S. Topila, 1913). THREE SHIPS -- with three raised hull islands: Union Iron Works/Bethlehem Steel, Alameda, 435-foot type. 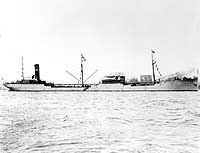 These ships were probably similar to the three 435-foot ships of Emergency Fleet Corporation Design 1047 built at the Bethlehem Steel yard at Sparrrows Point, Maryland. 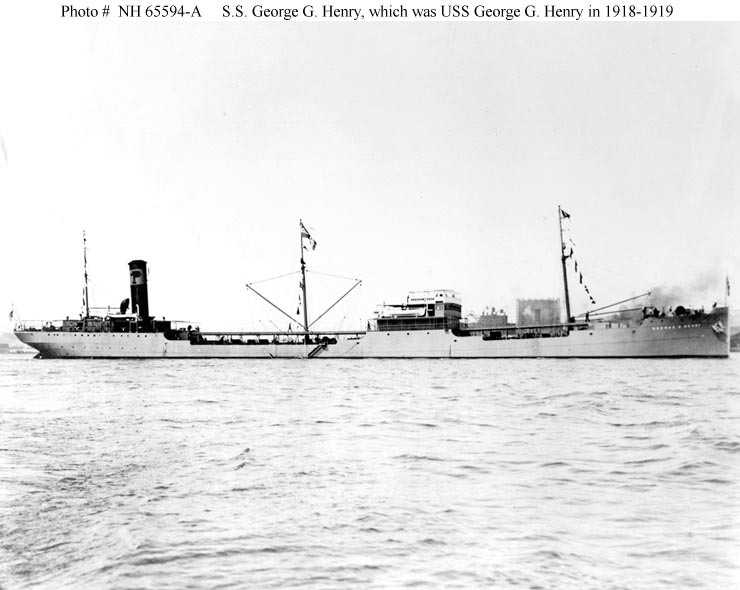 George G. Henry, USN 1918-1919 (ex American S.S. George G. Henry, 1917). 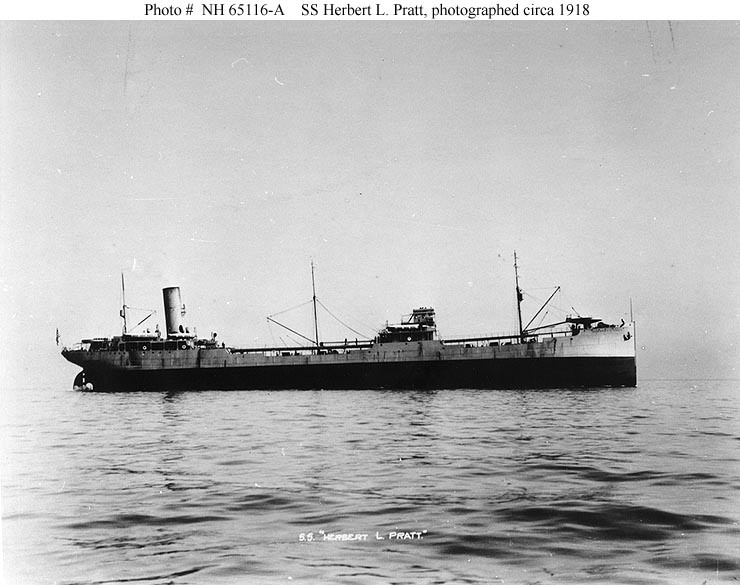 Herbert L. Pratt, USN 1918-1919 (ex American S.S. Herbert L. Pratt, 1917). 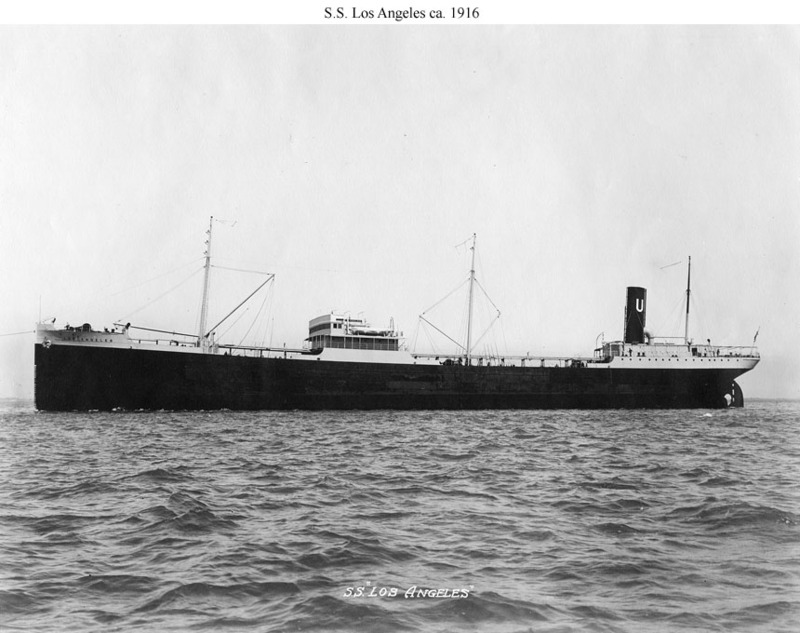 Los Angeles, USN 1917-1919 (ex American S.S. Los Angeles, 1916).